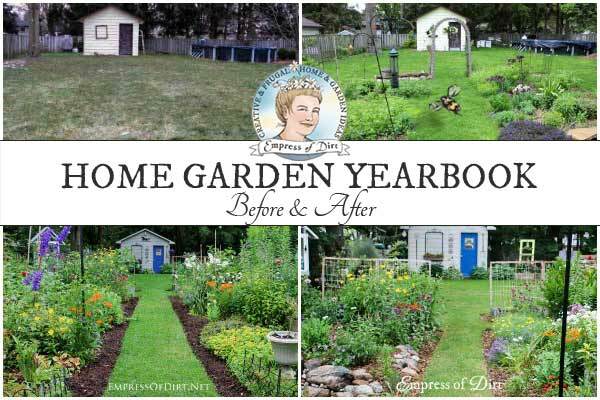 Want to see how a garden changes year after year? 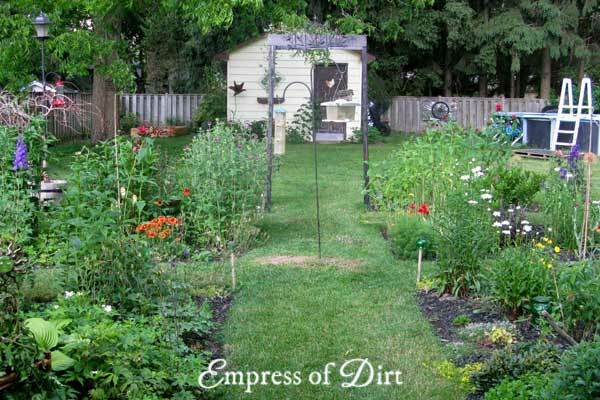 These photos show my backyard garden which started as a plain, grass lawn in 2011. 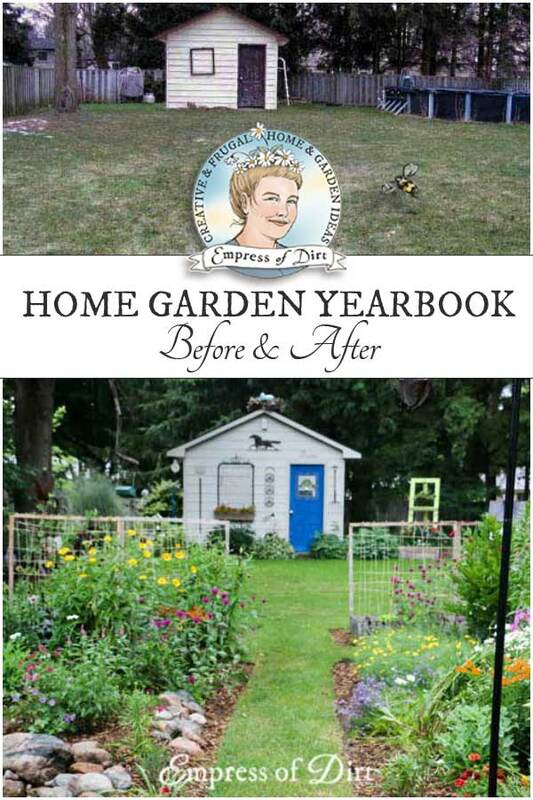 I try to take some photos from the same vantage point each year to show how it transforms as I add perennials, shrubs, vines, fruit bushes and trees, and veggie beds. 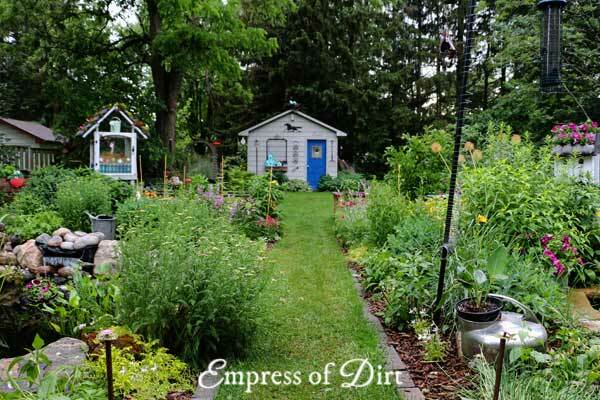 For my best gardening tips, see outdoor gardening. 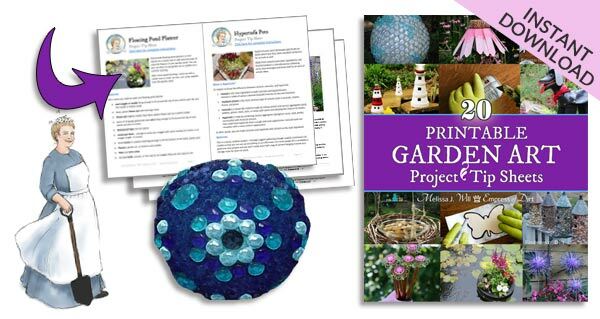 Garden art ideas can be found in the Make section. 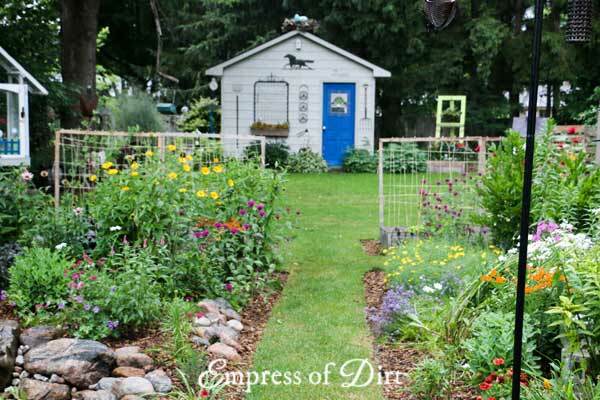 It is never easy starting a garden from scratch. 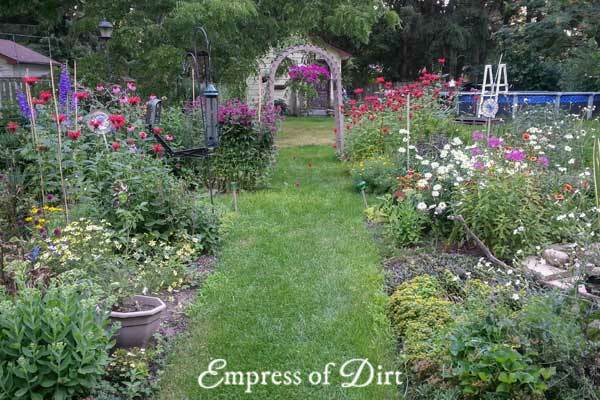 After working on my previous garden for years, and finally having the over-flowing jungle of blooms and fruits I had longed for, we had to pack up and move. And, because it was the middle of winter, I could not bring any of my (thousands of) plants with me. It was heart-breaking. 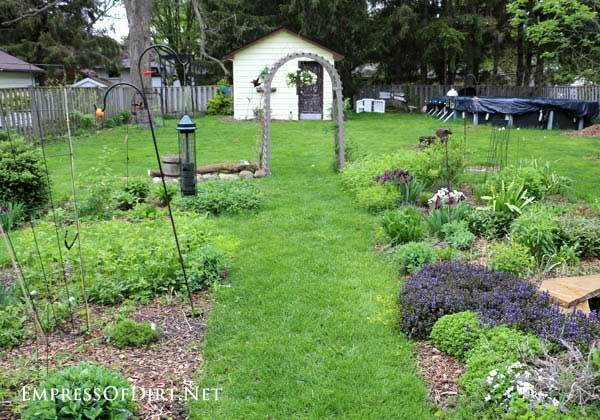 I’m not sure if it’s preferable to start with a bare lot or adapt to a ready-made garden (with someone else’s vision of what a garden should be), but plain lawn is what we got and that’s where I started over. These photos are a bit deceptive. You can see how my cameras, photography style (or lack thereof), and lighting conditions have varied greatly over the years. It’s a lot like trying to photograph your children around the same time each year so one can compare to see what has changed. Living things do not readily pose this way: they are too busy just doing that—living, changing, and growing. That said, you can still see the transformation. There have been many highs and lows; dull spots, and shining moments. But most importantly, it’s been a wonderful place to escape, play, and dig in the dirt. New to the climate and soil, I just started planting perennials to see what would grow. One of my favourite things about living in a 4-season climate is how dramatic the changes from spring to summer are. The spring garden is such an ugly duckling! Just six weeks later it is a gorgeous green oasis. In this next photo, you can see that everything is growing nicely but the colour arrangements irk me. Also, you can’t see much of the shed at the back because lightning hit the walnut tree and a massive branch snapped and was left dangling from high above (until I got out the saw and took it down). Here’s another spring view. It will never cease to thrill me how a garden comes to life from the dead of winter to the lush life of summer in such a short time. 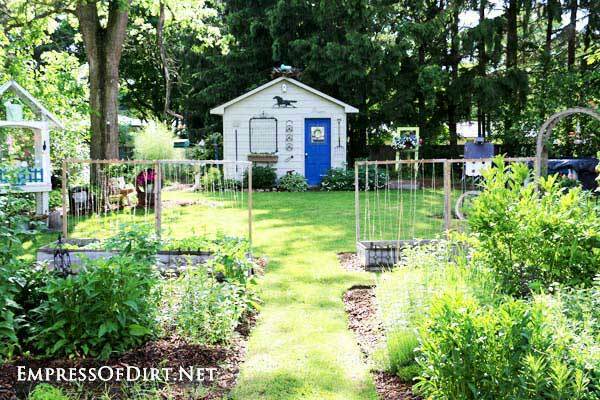 Later this summer, we painted the shed and gave it a makeover. This was a fine month for the garden. There were plenty of blooms, a nicely trimmed lawn, fresh mulch, and then it all went downhill. Some sort of virus killed off a bunch of the plants and I had to tear out entire sections. 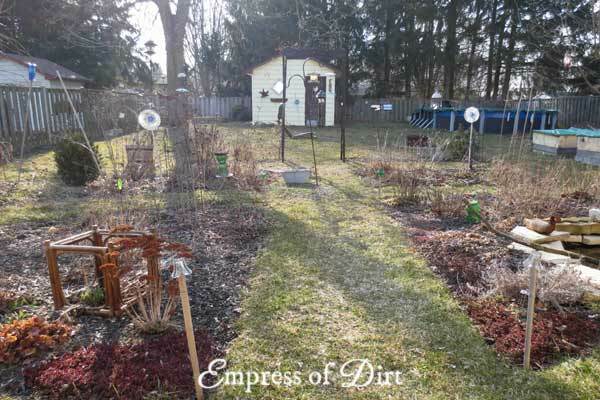 Here’s the spring garden before the flowers start blooming. As much as I am a flower-a-holic, I love green-green-green too. In June 2016, I installed a second pond (left side of photo, below, you can just see a few of the surrounding rocks). I also rearranged hundreds of plants both to accommodate the pond, and fill in blank areas where I had removed plants the previous year. You can see a tour here. This year, we finally had the old swimming pool removed, which opened up a huge space at the back of the garden. More room for plants, perhaps? For now, my attention is on this area by the house where I pack in as many flowers as possible. This photo is from June, just before the big show of flowers happens. It really is nice to start on a clean slate now and again. 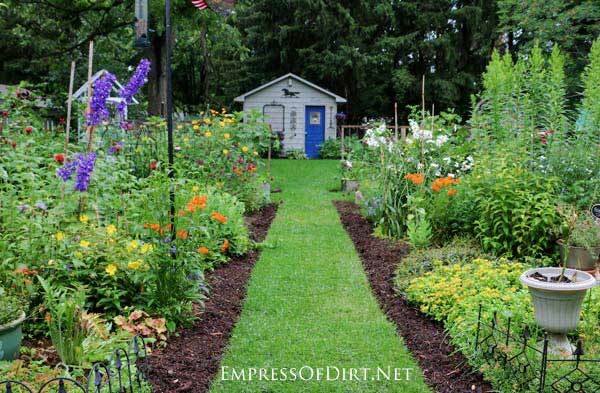 Being married to a military man, this happened a few times to me, and it was gratifying to make new gardens in each place we went. Nothing on the order of what you have accomplished, but satisfying anyway. In addition to all of your great website content, I really love the image animation (Gif files?) on your site. Not obnoxious but rather magical. Nice Job! Did you design / implement site design? Looks fantastic! I’ve got the same issue; moved into a blank slate. 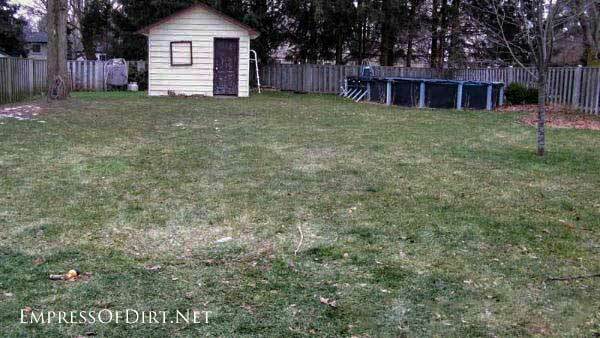 Plus crap soil and Bermuda grass everywhere! Thanks for the before and after pictures. Now I’m going to do the same thing to make myself feel better in 5 years! It’s hard at first. I was so impatient, especially have come from a full-grown garden. But time does march on and things grow. Good luck!